Recon Air specializes in rebuilding damaged airframes for bush operators, fleet owners and insurance companies. Our greatest experience is with de Havilland Beavers, Otters and Cessna aircraft. Recon Air strives to be the best at the rebuilding of de Havilland Beaver, Otter and Turbo Otters and wants to meet the needs of any possible new clients or aircraft owners. Recon Air is a Transport Canada Approved Maintenance Organization No# 69-91 and specializes in the rebuilding and resale of de Havilland DHC-2 Beavers, DHC-3 Otters and turbo conversions of same. We provide specialized services including structural repairs, custom interiors and upholstery and painting. Recon Air specializes in rebuilding damaged airframes for bush operators, fleet owners and insurance companies. We’re looking for a few experienced, driven and fun individuals to join our growing team! Recon Air provides PT6 engine monitoring, inspection and calibration that prevents engine failure and reduces costs. 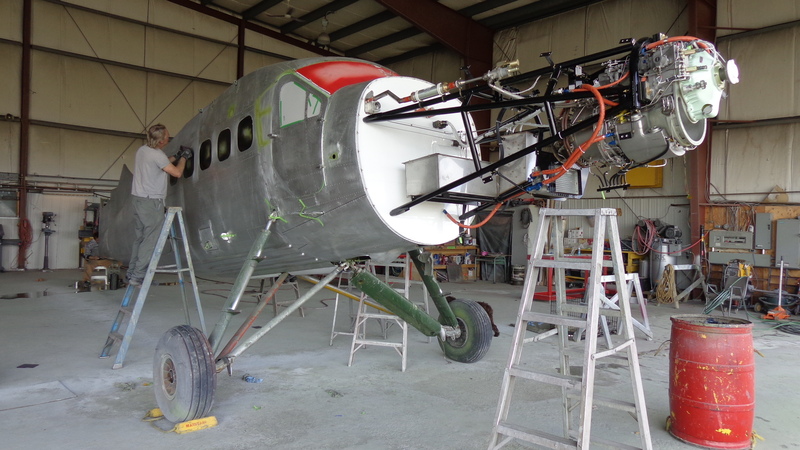 Recon Air can completely re-furbish your plane from rebuilding damaged airframes, reupholstering interiors, or custom painting and finishing. We can even create unique finishes for personal fleets. We are world renowned leaders with over 70 years experience. From full rebuilds to turbine conversions, the team at Recon Air can help you with all of your Turbo Otter needs! Recon Air can completely re-furbish, reupholster, and repaint your aircraft with custom fabrics, designs, colours and finishes. Make your aircraft unique. Recon Air, with over 80 years of experience, employs over 10 people. Experts in aircraft engineering and mechanics as well as highly trained painters. Our philosophy surrounds a love of planes and aircraft. From full rebuilds to minor repairs, our staff has been in the aviation industry for many of years and has dealt with a lot of different aviation issues and modifications. At Recon Air, we’re committed to improving and modernizing the Beaver and Turbine Otter into a preferred first choice aircraft for both commercial and private operations. It’s a commitment that has earned us international recognition as experts on the Beaver aircraft and the title of the World’s largest Turbine Otter maintainer.